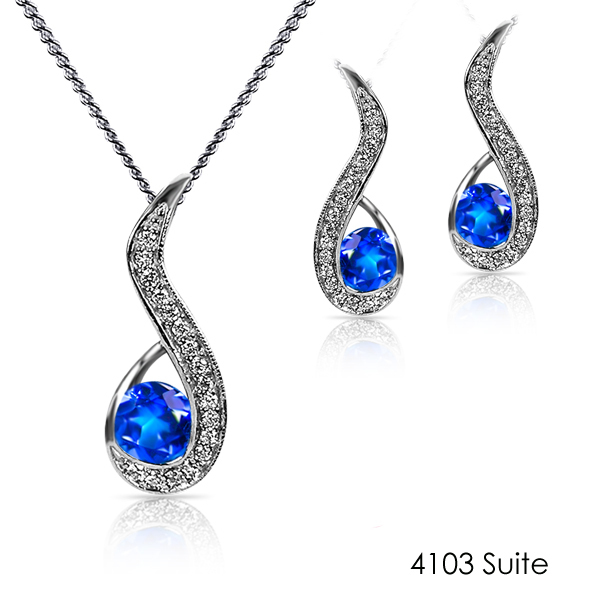 This 14kt Gold suite features a Kashmir Blue Topaz set, including a Pendant and Earrings. The pendant (MP4103W/KBT) includes a .85ct Round Stone and 19pt Diamond. The earrings (ME4103W/KBT) include a .50ctw Round Stone and 17pt Diamond in each earring.